Now these two are within Mamonde's makeup line and so far, the duo looks extremely promising. 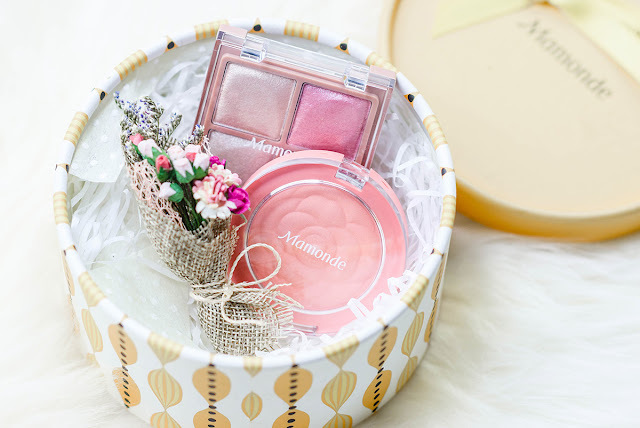 The Mamonde Flower Pop Eye Brick retails at RM99 for 2.3g and is a multipurpose eyeshadow quad that is developed using the highly blendable formula alongside exquisite pears and color for seamless eye makeup. It is available in 5 colors; No 1 in Golden Beige, No.2 in Laura Coral, No.3 in Burgundy Pansy, No. 4 in Pale Purple and No. 5 in Rosy Road. 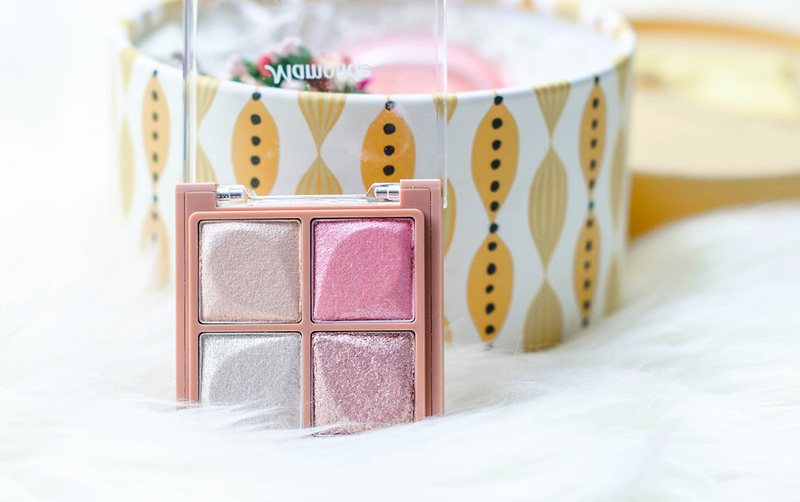 This eyeshadow quad has a White Flower Complex which comprises of Madonna Lily, Adelweiss and Lily Magnolia. This helps keep the eyes moisturized and also blends well to the skin while giving a rich color without looking heavy or mottled. Now as we have Shade 5 with us, we found that the consistency for this is lightweight. Pigmentation and color holds a very strong but sheer finish, and the shimmer is not too heavy but just nice for a very natural application. As for the Mamonde Flower Pop Blusher, this retails at RM59 at 7.5g. 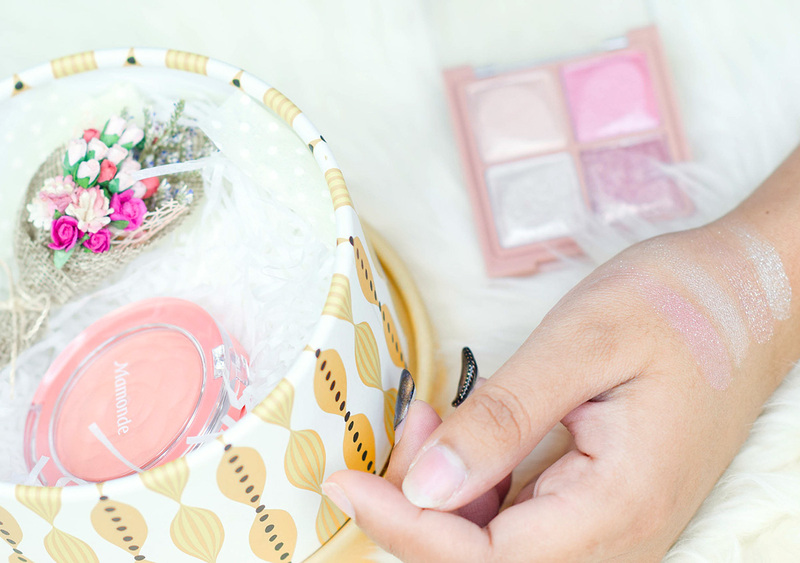 It is a pretty decent size and comes in 6 different shades in No.1 Pansy, No.3 Daisy, No.5 Peony, No.6 Camellia, No.7 Rose Bay and No.8 Ginger. The texture for this is very smooth and the color payoff for this is lovely. 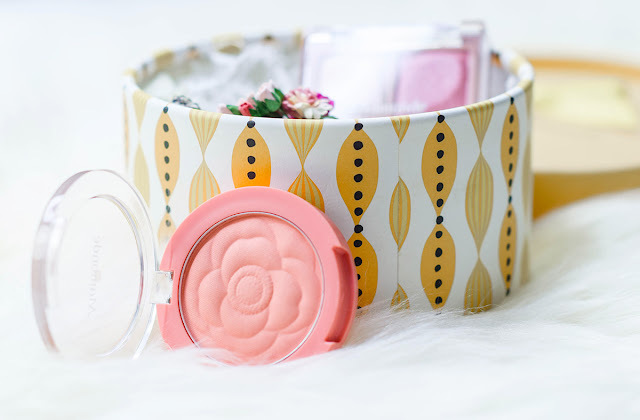 Also in terms of packaging wise, the rose imprint is just lovely, plus the consistency comes with a coat of camellia oil that gives a glowing complexion once applied onto the cheek. 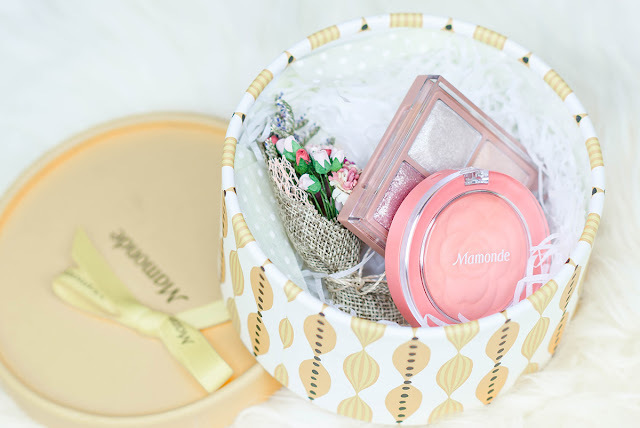 Hence if you would like to try them out, the Mamonde Flower Pop Eye Brick and Flower Pop Blusher has already been made to all Mamonde Beauty Counters nationwide. In the meantime, for more information, you can also head on over to Mamonde's Official Facebook Page for further details as well. I have never tried this product before, but it looks really good. I love the shimmer as well as the rose blush. I like the fact that it's light on the skin. Cheers!! 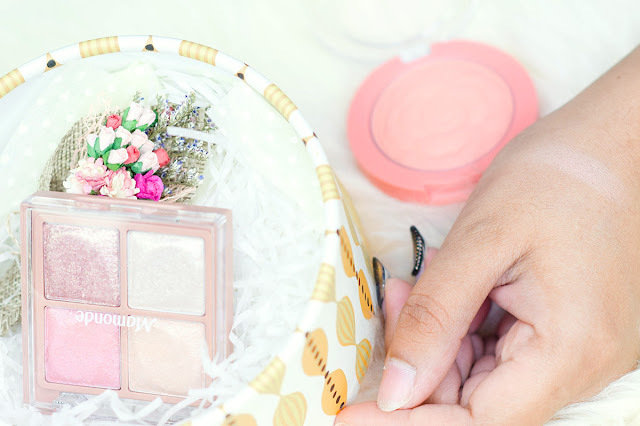 The overall packing is so sweet and of course, who would be able to resist the Flower Pop Eye Brick? Thanks for swatching. I love all the four shades. Love all your photos as usual!